Make the starter: In a small pot over low heat, combine the water, milk, and flour. Stir continuously until a loose paste forms. Remove the pot from the heat and transfer the mixture to a small bowl. Cover with plastic wrap, pressing it directly onto the surface of the starter, and refrigerate for 1 hour, or until cool. Make the dough: In a large bowl, add 2½ cups (300 g) of flour, the sugar, salt, and yeast, and whisk to combine. In a large measuring cup, whisk together the milk, egg, butter, and chilled starter mixture. Gradually pour the milk mixture into the bowl of dry ingredients, using your hands to combine. 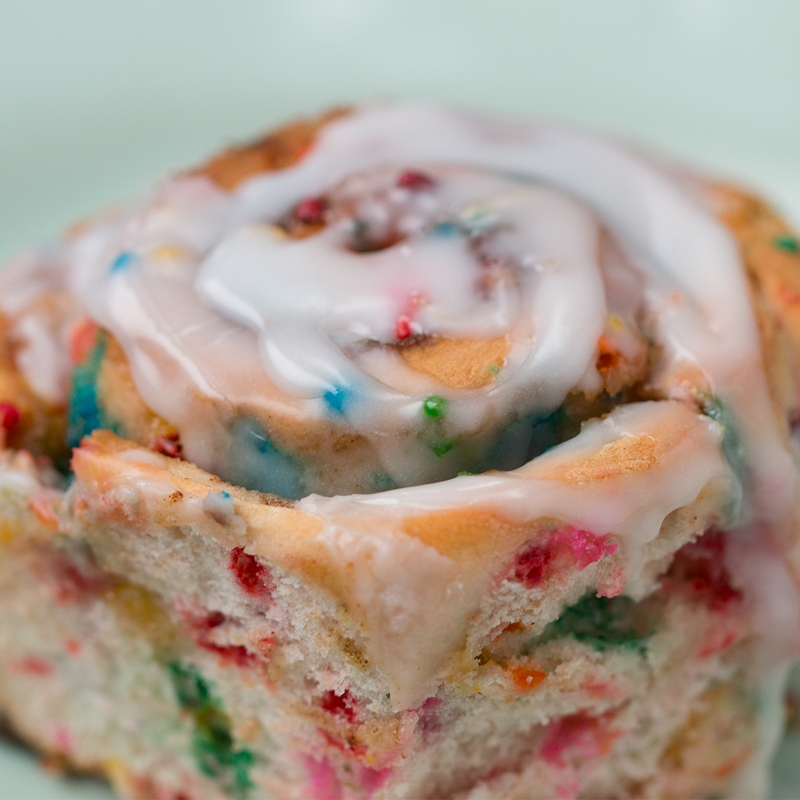 The dough will be very sticky at this point. If the dough is too wet to knead, gradually add ¾ cup (90 g) of flour, a few tablespoons at a time, until you can knead the dough into a loose ball. Continue to knead the dough for 20 minutes. Cover your hands with the vegetable oil and form the dough into a taut ball. Place the dough into a clean large bowl. Cover with a towel and let rise in a warm place until doubled in size, 60-90 minutes. Transfer the dough to a clean surface and press out to a 9-inch (23 cm) square. Divide the dough into 9 equal squares. Flatten a portion of dough into a circle. Place 2 tablespoons of pulled pork in the center. Pinch the edges of the dough together to seal. 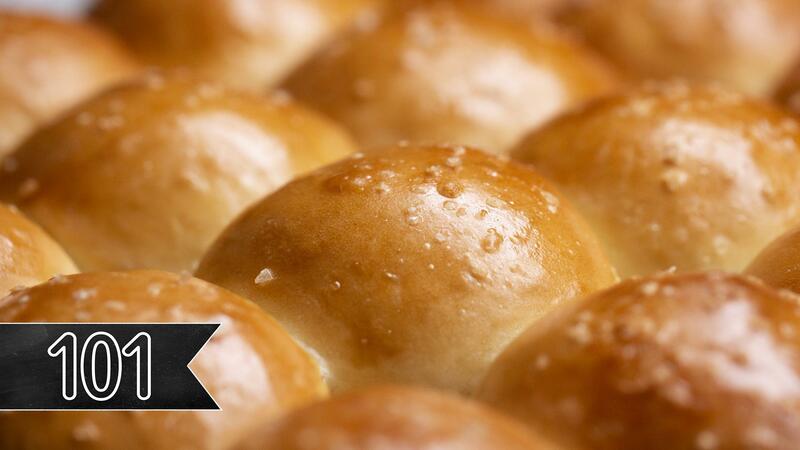 Gently roll the dough into a ball and place in a greased 9-inch (23 cm) square baking dish. Repeat with the remaining dough. Cover with a towel and let rise for 45 minutes. 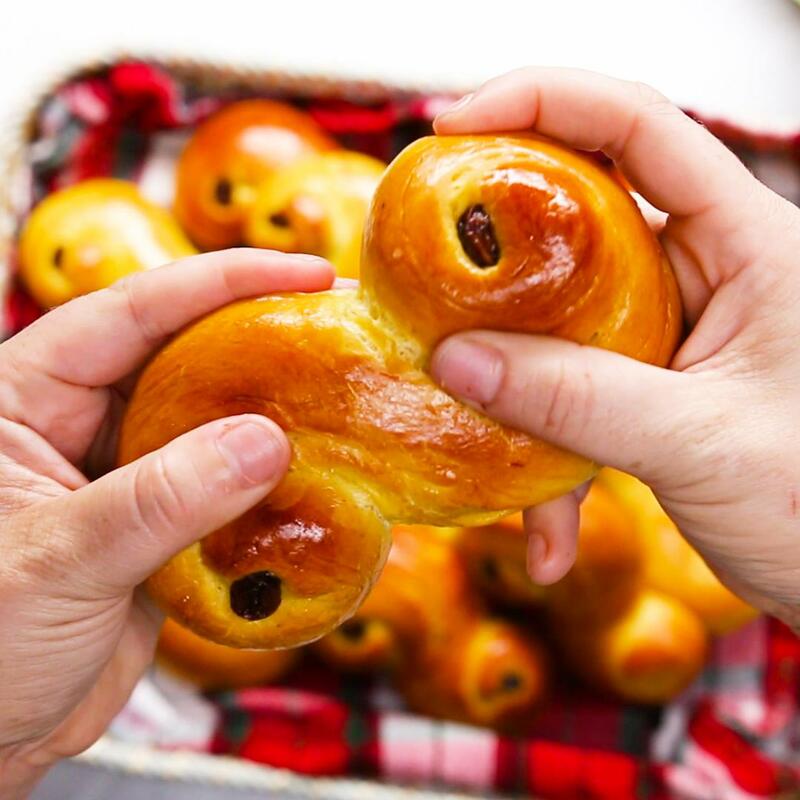 Brush the buns with the egg and milk mixture. Bake the buns for 25 minutes, or until golden brown. 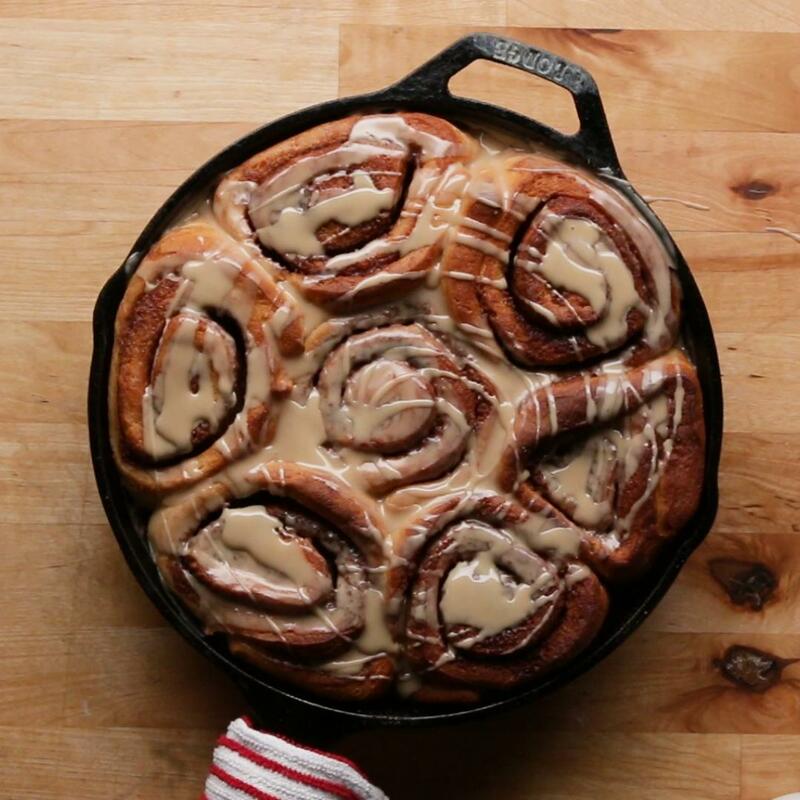 Let the buns sit in the pan for 10 minutes. 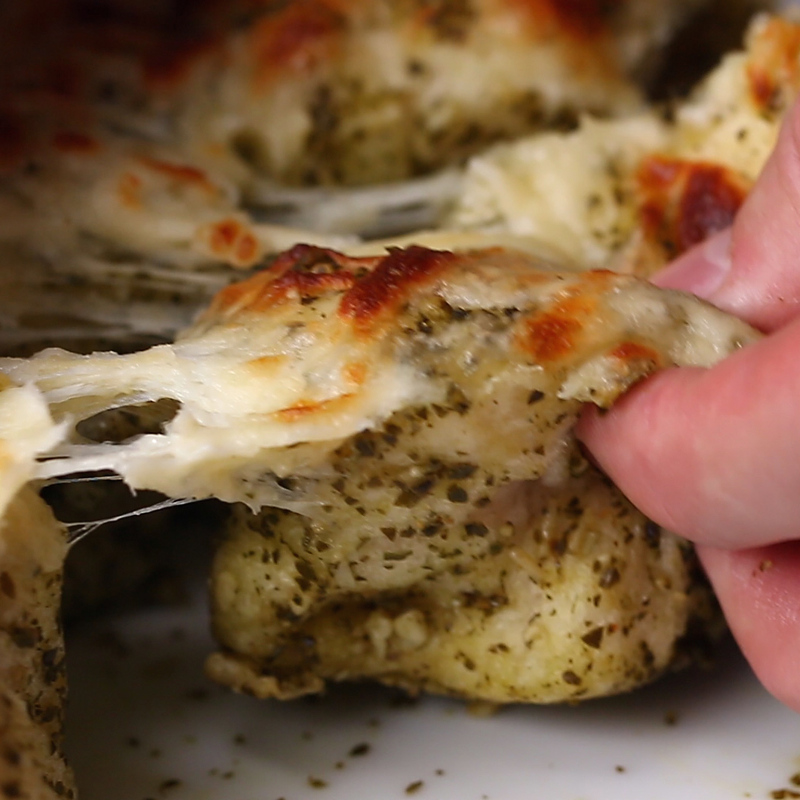 Invert the buns onto a serving plate, and pull apart. 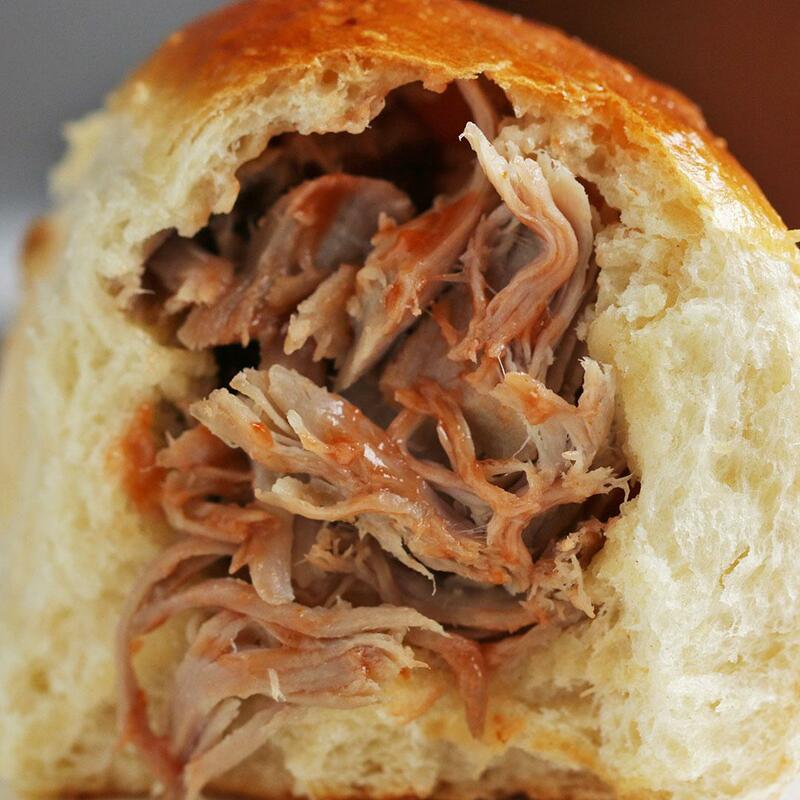 I tried this as just a roll recipe without the pork and they were some of the best rolls we have had. Just made these for 4th of July and they turned out great! I used BBQ pulled pork. If you decide to do the same, just make sure that the sauce isn’t too watery and don’t use too much. That will keep the buns from being soggy in the middle. Oh - and I made these in Denver. No special changes for high altitude, however I did use the full amount of flour. 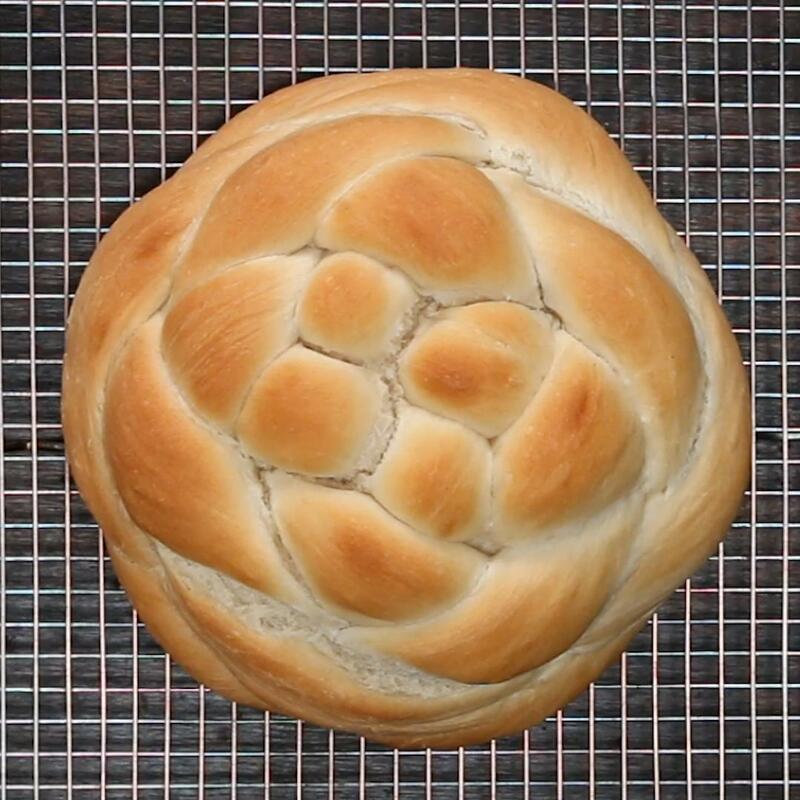 I made this simply as a roll recipe. I used all of the flour because my dough was very sticky. I let it rise for an hour. Rolled it into balls, let it rise for another half an hour then baked for 35 minutes. Tasted great! Next time I will make smaller rolls and bake in two sheets.